Added on September 7, 2015 by Kavi Guppta. At Strategyzer, we’re always excited to share how large and small companies use our tools to build better value propositions and business models. In this post, Brandt Williams, Head of Strategy at Zoo Labs, explains how the Business Model Canvas is helping musicians redefine the music industry. Brandt Williams (center) with Zoo Labs' residents. Zoo Labs was originally conceived to help musicians understand that they can have a sustainable career in an industry that has just become a playground for new business models and value propositions. The music accelerator's residency program exposes participants to the the guiding principles, disciplines and rigor required to be successful in any venture. There are many lessons here for companies large and small. Most importantly, Zoo Labs and the Business Model Canvas empower teams to make high quality products, engage with their customers, and create a sustainable and viable future. Kavi Guppta: How do musicians/music businesses think about strategy? Is this a new area for them? Brandt Williams: Musicians have historically been subjected to the monopoly of the music industry with little control over their brand, customer acquisition and long term success. Things have changed dramatically and put the shift in power back in the hands of the artist. Generally speaking, musicians are natural born entrepreneurs and are actually quite good at understanding their craft and their customer. Where Zoo Labs helps is guiding them to understand that business is a craft, much like songwriting or arranging a musical score. There is a language and tempo to strategy. Zoo Labs breaks down what musicians naturally understand and decodes it into a strategic plan that they can execute. KG: How were you introduced to the Business Model Canvas and other Strategyzer tools? BW: Zoo Labs leverages some of the very best business minds in the Bay Area. Entrepreneurs, social activists, tech investors, seasoned business leaders and college faculty as mentors in our residency program. 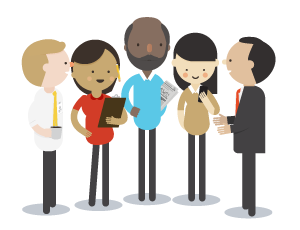 The Strategyzer tools are part of their everyday toolkit. Our mentors bring that knowledge and expertise of decoding and demystifying the language of business to our teams. The Strategyzer tools are a huge help in making the translation easier to understand and help our teams get to an effective strategic plan. KG: How has the Business Model Canvas introduced to residents at Zoo Labs? BW: In our initial introduction to the canvas, we explain the elements of the canvas by introducing case examples in the music industry and other known products or services. We use comparison case studies to build out a Business Model Canvas of dissimilar businesses and compare them to musicians. For example, we compare the Swatch watch company to a band. We then ask the teams a series of leading questions with active participation. We use a LOT of sticky notes and the team members write and post and debate each element of the canvas as we apply the canvas to their goals and success metrics. This helps them see their project as a company or startup or legacy business and guides them to priorities for success. Because of their natural ability of entrepreneurship, the teams grasp the concept quickly and build canvases as experts in a very short period. KG: How do new residents react to the Business Model Canvas when you use it in workshops? BW: There is an AHA! moment when we use the Business Model Canvas. The canvas helps our residents see their current business in a very short period of time. They use the canvas to make decisions and priorities quickly. The typical response of our residents is that the Business Model Canvas makes it easy to see their business in a way they had understood intuitively but never documented. The Business Model Canvas process builds a team dynamic as well. Natural leaders come forward and contributors are valued during the Business Model Canvas process. Being able to touch and visualize the business designing process helps reinforce the priorities and create tangible goals. KG: What are some of the AHAs that have come out of these exercises? BW: The AHA’s come when the musician realizes that they must focus on each element of the Business Model Canvas to be successful. At Zoo Labs we over emphasize the Value Proposition and the Customer Relationship. We use the Empathy Map to illustrate the relationship they have with their customer (audience). Another AHA comes when participants realize that their customer comes to the music in ways that the musician never anticipated. The audience has control of the relationship with musicians. Focusing on the empathy of the audience builds trust, confidence, loyalty, affinity, supporters (and detractors) and must be understood and managed. KG: What did your residents discover about their business model development as they interacted with the Business Model Canvas? BW: Specifically, the musicians themselves are in control of their business model. They really don’t have to rely on the industry standard practices. The discipline of music and the discipline of business are joined at the hip and cannot be separated. Musicians must understand the business side. For example, audiences have choices that are not music related (staying at home and watching TV, reading a book or going out with friends for dinner). Going to a show or buying competes with these other behaviors, and so it’s not enough to think that other musicians are the competition. In this way, the Business Model Canvas helps to create a level of separation from a musician’s craft to a connection with their mission, purpose, and their customers.